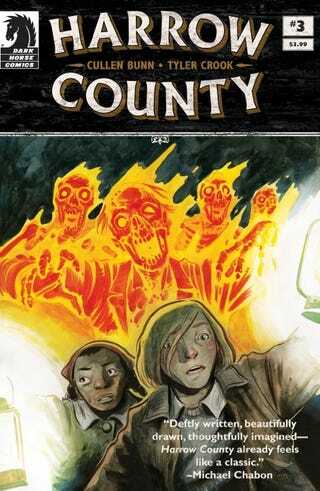 According to Deadline the comic Harrow County is being developed as tv show. Set in the 1930s, its the story of Emmy who discovers on her eighteenth birthday that she has certain abilities which center around being able to communicate with the supernatural called Haints. A witch has been lynched and burnt by the townspeople for committing acts of devilry and upon dying Emmy was born. A well told story that I’m glad is getting more attention.